The Theme Park Duo Podcast: Subscribe on iTunes, Google Play, Stitcher, iHeart Radio and Spotify! 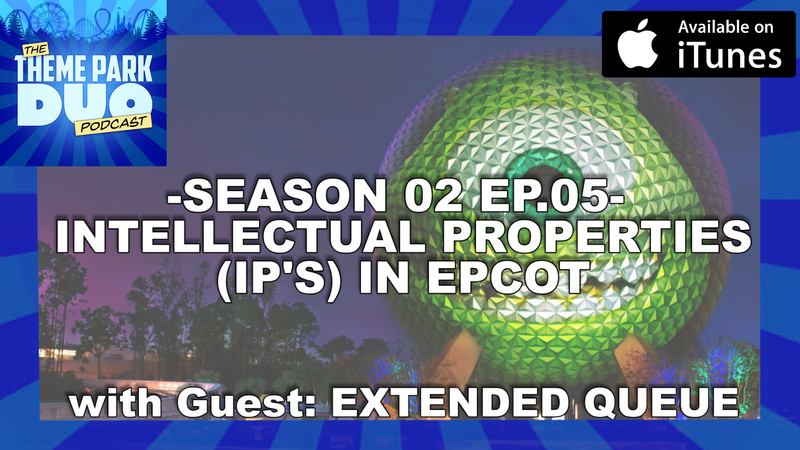 On this Episode of the Theme Park Duo Podcast, The Duo are joined by Stephen and Tiffany, formally of Extended Queue Podcast to talk about Intellectual Properties (IP’s) in Epcot. How will it change Epcot? Will it change for the better? Along with that, we have our very first HAUNTING HEADLINES of the season! We discuss the newly announced Stranger Things maze coming to Halloween Horror Nights in Orlando, Hollywood and Singapore. Also the great Buy One get One Free deal for HHN in Florida. Then Queen Mary just announced that you can now stay in the most haunted and infamous room aboard the ship, ROOM B340! Do you have what it takes to spend the night in that room? Then in the THEME PARK BULLETIN, we discuss Knott’s Berry Farm and their brand new “dive” coaster Hangtime and its official opening date. As well as Six Flags Magic Mountain opening a BRAND NEW VR experience aboard Lex Luther’s Drop of Doom. Changing it to, DC Super Heroes Drop of Doom! Thank goodness we can chat about all of this theme park goodness and stay awake doing it. That’s because we are being caffeinated by EXPEDITION ROASTERS! The delicious flavors of the theme park inspired coffee has us ranting and raving. Make sure you head over to ExpeditionRoasters.com and use code DUO15 to get 15% OFF your purchases of Expedition Roaster coffee! Brew Your Happy Place!